In my last post, I mentioned that people should save leftover paper in the event that they may need to have wallpaper repaired down the road. This past week, I did just that – and did a darned good job of it, too, if I do say so myself! 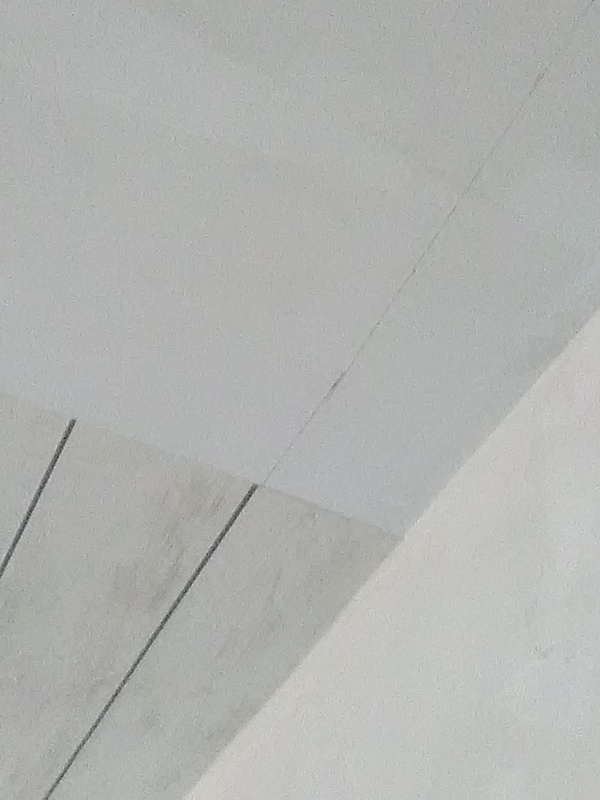 The homeowners had had foundation work done, and this caused the usual diagonal cracks above doorways, and twisting / shifting of the paper in corners. This was a heavy, woven fabric-backed, solid vinyl paper that had been up for quite a few years. For some reason, only very small scraps were left over from the original installation. Nonetheless, “some” is better than “none,” and, with careful plotting and patience, I was able to make the repairs. Two diagonal rips above the doors were easy to fix, by peeling back and repasting the paper, or by removing damaged pieces and patching in small replacements. The corners were another story, though. The damaged areas needed to be removed, then retaped and floated with Sheetrock tape and mud, sanded, primed, and repapered. The kicker was that the length of the repair was 8 feet – the height of the wall. But the scraps of wallpaper that were left from the original installation were less than a foot tall. Once the pattern was matched and the excess discarded, the scraps were even smaller. So, to repair the 8 foot tall area and match the pattern correctly, I needed to use 13 short pieces of replacement paper. THIRTEEN! It turned out looking great. So great, in fact, that the homeowners began looking around the room to find other corners I could fix. Whoah, I said. 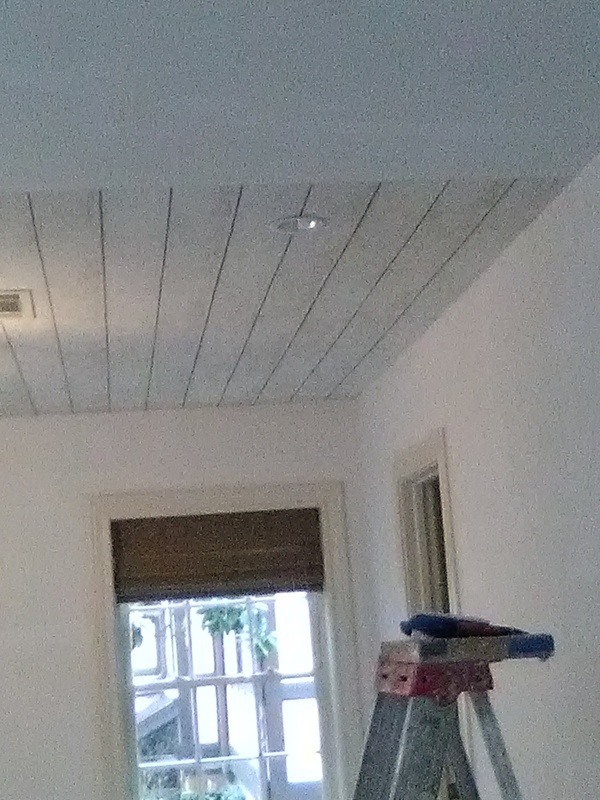 We only talked about fixing these two places above the doors, and this one really bad corner. Besides, I have used all the scraps, and there is no paper left over for more repairs. But they were so delighted with the repair, and so desireous of having one other (less noticeable) corner in the room fixed, that they began digging through all the closets to find if surely there weren’t just a tad more paper somewhere. And there was! The wife finally uncovered more miniscual scraps… this time, instead of being short scraps the full width of the roll of paper, they were long scraps only about 2″ – 4″ wide. Not much to work with! But, intrigued by this new challenge, I set about plotting, measuring, matching, splicing, and scheming, and – Voilà! – There just happened to be two pieces with just the right pattern match, that could be spliced together in the corner to make an almost indetectable repair. The homeowners loved it! And I have to say, even though the bathroom and entry I papered in the home turned out lovely, I am almost more proud of those repairs. I had a potentially dicey situation yesterday. The designer had asked me to also measure two other rooms, a second powder room and a laundry room on the second floor. 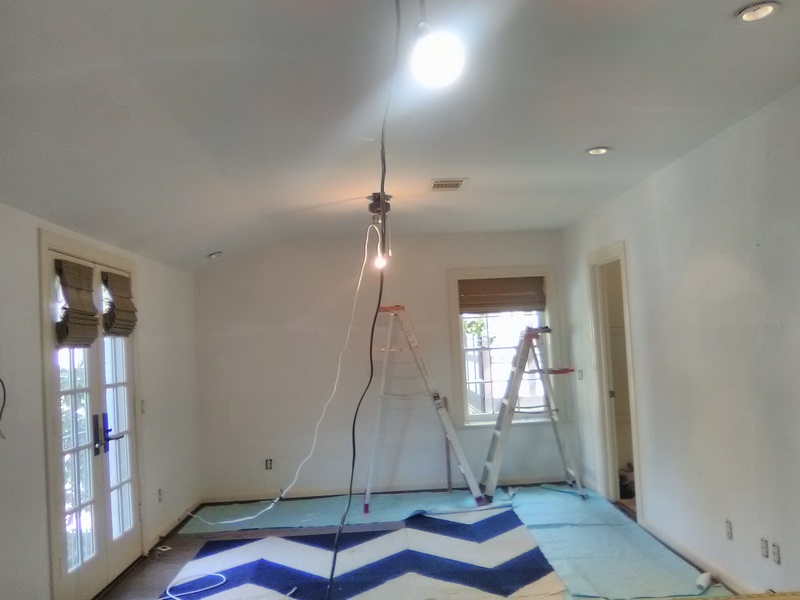 While I was getting set up to start, a woman came in and identified herself only as “Sue.” She asked me to be sure to measure the two additional rooms, and talked about her wallpaper selections, how quickly they could be shipped, and if they would arrive in time to be installed that same week. I assumed she was a member of the design team. When she asked if I could recommend any places where she could find wallpaper, and especially stores with paper in-stock, I gave her my printed sheet that lists Wallpapers to Go http://www.wallpaperstogo.com/index.htm , which is about the only nearby place that still carries wallpaper in-stock, and also two other stores with which I deal frequently, Southwestern Paint http://southwesternpaint.com/ on Bissonnet and Sherwin Williams http://www.sherwin-williams.com/ in the Rice Village. The woman also wanted to know how many rolls of paper she would need to buy. 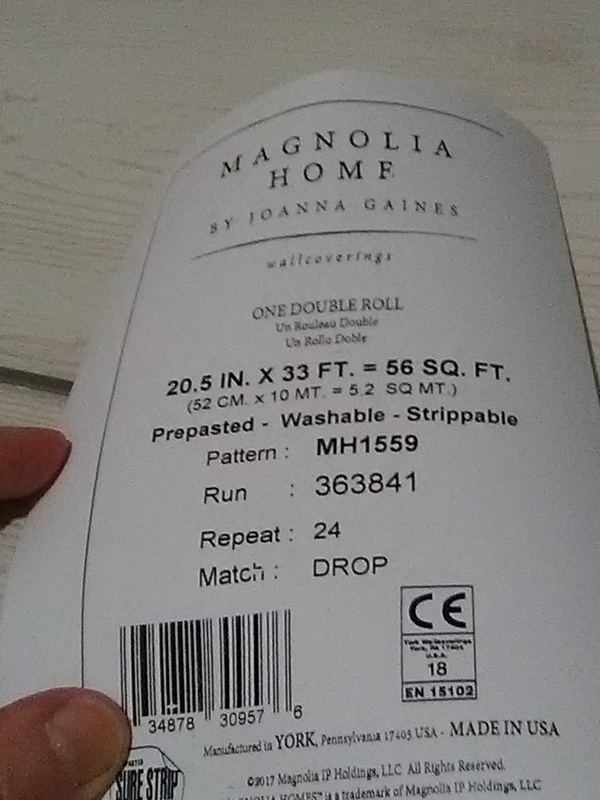 So I gave her my yellow sheet, which lists how many rolls are needed for each room, how many days to do the job, and my price for labor and materials. Turns out the lady was NOT a designer, but the HOMEOWNER herself! Now, when a contractor (such as me) is working for a designer, it is very important to learn their “ground rules” up front; how they like me to interact with the client. Some designers want the homeowner to pay me directly, and don’t mind if I talk freely with her. Other designers prefer that I keep communications with the homeowner to a minimum, not interfere with their decisions, not give my opinion on selections, and not discuss prices or payment. In these cases, when a designer is working with a client, she doesn’t want “meddling” to interfere with choices they have made. Also, since many designers add a mark-up to my installation fee, they prefer the client not be aware of this. Now, it’s perfectly all right for a designer to tack on a little, because, after all, this is how she earns her living, and a little commission on a sale is simply a way of doing that. They also like to deal with their own vendors, where they quite likely get a discount on the wallpaper, and then, frequently, do a markup on the price of the paper, earning a little more income the same way. This is all quite common in the design industry, perfectly acceptable, and should never be viewed as “cheating” or “gouging” the customer… It’s simply a way of making a living in a field that does not pay like a 9:00-5:00 job. If you’ve read this far, you understand the goof I made. This particular designer had asked me NOT to discuss money with the client, and here I had gone and done just that Then I went a step further and even suggested other places where the client could purchase wallpaper. Some designers aren’t that touchy about this subject, but others can get quite upset, even angry. I certainly don’t want to upset the designer, nor do I wish to compromise either the relationship between the designer and her client, and especially not the relationship between the designer and ME… I very much want to continue to work with this design firm, and hope this one error hasn’t jeapordized that.